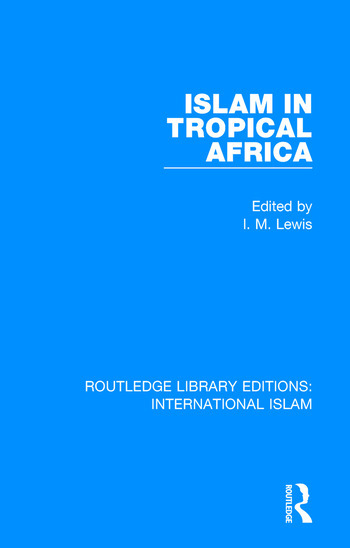 First published in 1980, this second edition of Islam in Tropical Africa presents specialist studies of the history and sociology of Muslim communities in Africa south of the Sahara. The studies cover an extensive and range of time and place, and include consideration of particular aspects of Muslim belief and practice in regions such as Senegal and Somalia. The second edition includes an updated introduction which draws attention to the ways in which differently organized traditional cultures and social systems had reacted and adapted to Muslim influence in the field of politics, law and ritual in the second half of the twentieth century. This book will be of interest to those studying Islam, African studies and ethnography.